Cardiff Marine Services has built a new 50ft x 100ft workshop at their Cardiff Marine Village site. This purpose built, state of the art facility provides enough floor space to now work on three 50ft boats undercover at once. The site has also been extended by an additional acre, so now totals 3 acres, with a dedicated acre for hard standing boat storage. 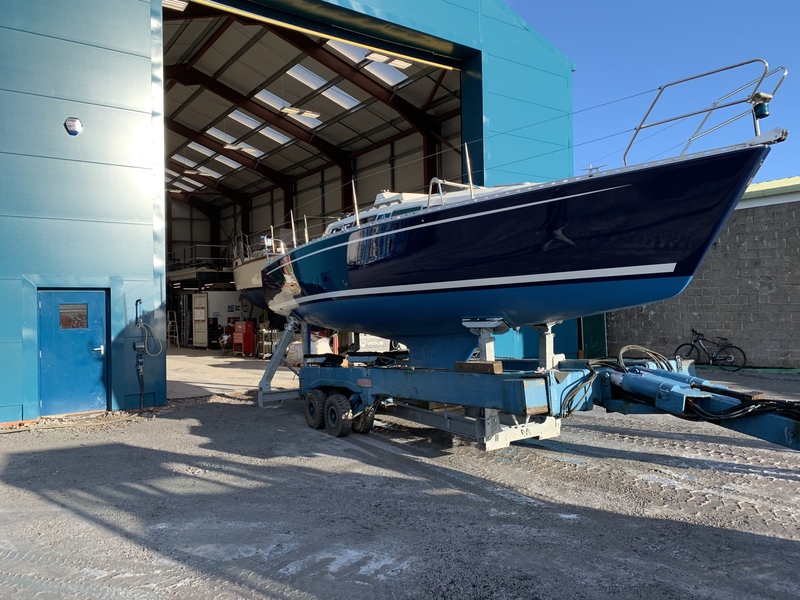 The new workshop will provide the main workspace for the expanding boatyard team with the engineering department moving into the former workshop to allow them more space. Dedicated zones have been set up to ensure an efficient, tidy environment. There is a woodwork shop, boasting a modern dust extraction system; a large paint and resin store, incorporating a mixing bench within a controlled environment; and a metal working area for various onsite welding and fabrication jobs. A new compressor with a large plumbed in airline ring system also allows the team to carry out shot blasting on site using their IBIX blaster which does not damage gelcoat. There is a mezzanine to house a large area for teak decking and simulated teak decking, and a large comprehensive rigging set up on site. In addition, a 75ft x 30ft spray booth has been created, providing a controlled environment for applying all types of paint and to expand upon the work the businesses currently carries out as both an Awlgrip and International Paint Application Centre. 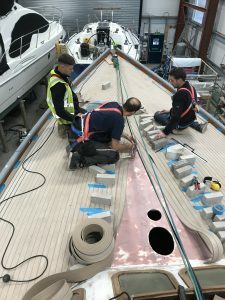 The company has also invested in a series of new cradles for boats up to 20 tonnes and employed a new Rigging Manager. The workshop, part funded by the Coast Communities Fund, has had every element of the fit out carefully thought through. From the modern LED lighting, to the ventilation systems, all have been custom designed, to improve efficiencies and offer a modern, high tech environment. 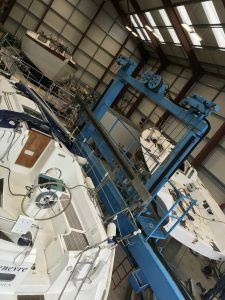 Cardiff Marine Services strives to be at the forefront of the marine industry and has invested heavily in these facilities to ensure that working with leading marine brands, they continue to provide the most up to date techniques, products and technology for boat owners in Wales and further afield.